The best thing about the six-part BBC documentary series, The Story of India, first aired in 2007, is Michael Wood’s boundless enthusiasm for India. He is joyful, respectful, admiring, and when he does occasionally laugh at one of the millions of paradoxes in Indian culture, he does so only gently and with kindness. Part Four, the one I just watched, “Ages of Gold,” opens in the fourth century CE at the city of Patna, in northern India. In Europe, this is around the time of the fall of Rome, the onset of the Dark Ages in the west. In India, it is the start of the great Gupta Empire. The Gupta kings have just defeated the invading Huns, and they now set into motion the Golden Age of classical India, when all the arts flourish. 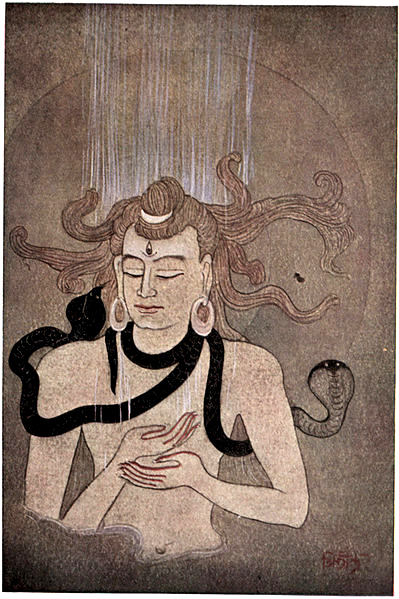 The Ganges descended to earth by falling on to the hair of Lord Shiva. Michael Wood next travels further east along the Ganges to Benares (Varanasi), where he arrives in time for the festival of the Goddess Durga, Durga Puja. At this time, the plays of Rama are being shown. The Ramayana, one of the two great epic poems of India, soared to great prominence in the fifth century CE, during the time of the Guptas. The theme running throughout this wonderful epic is the quintessentially Indian concept that one must, above all, live a life of virtue. This concept is embodied in the hero, King Rama, and is present, even today, in the psyche, of all Indian people. 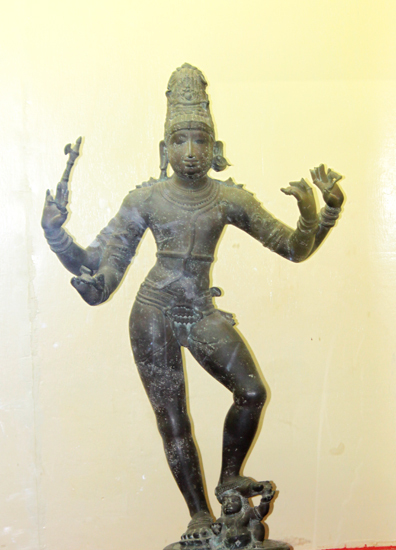 The art of the Guptas was unsurpassed, but it was not only their art, but also their technology that was amazing. Michael Wood finds himself next in Delhi, admiring the Iron Pillar of Delhi, which stands 35 feet high, and according to the inscription on it, was commissioned by Chandragupta II. This remarkable pillar, though made of iron, has never rusted, and even today, no one is sure how this was accomplished. The Gupta period was also the golden age of science. India pioneered the use of the “zero,” a concept which is the foundation of mathematics. The mathematician and astronomer, Aryabhata, who lived in the fifth century CE, proved that the earth went around the sun. He found the value of pi, and calculated the circumference of the earth. These and many other discoveries of his were not arrived at by Europeans until many centuries later during the Renaissance. A gopuram of the Brihadeswarer Temple. Early Indians knew that the universe was billions of years old. The belief in vast eons of time was not new to them. All this is only the beginning of this enchanting hour. 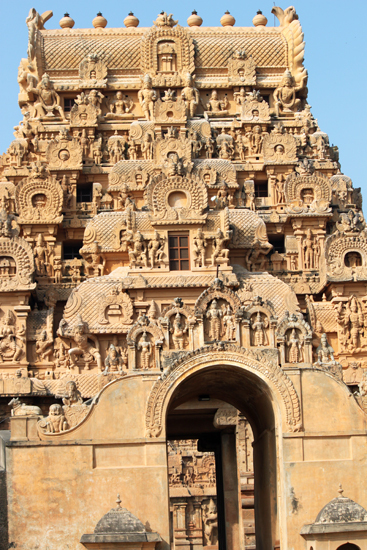 The episode “Ages of Gold” also covers the magnificence of the Chola kings, around the eleventh century — their extraordinary temples, their astonishingly beautiful bronze castings and how they are made, their libraries and histories, their classical dance, and their environmental achievements, such as the building of a 1,000 foot long dam, in ancient times, where the two great streams of the Kaveri River come together, which enabled the irrigation of vast areas of land so that rice could be cultivated, turning the land into some of the most productive agricultural fields on earth. To watch six fascinating hours of Michael Wood’s The Story of India, you can find it at Netflix. 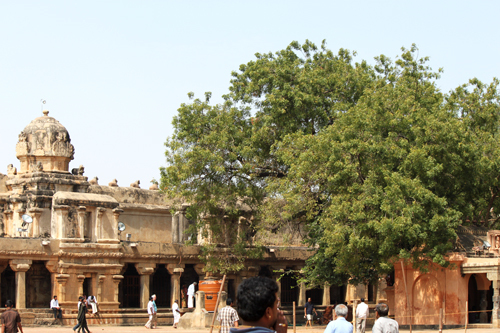 © Sharon St Joan; to find Sharon’s ebook on Amazon, Glimpses of Kanchi, click here.